The Warren County Orphan Asylum and Children’s Home, later known as the Mary Haven Home for Boys, was located along Shakertown Pike near Lebanon, Ohio. It was estimated that it would cost $5 million to remediate the Children’s Home of lead paint and asbestos and to complete a full rehabilitation of the structure versus $200,000 to demolish. 4 5 The county filed a lawsuit against the Ohio Attorney General’s Office on January 4, 2011, seeking that the trust on the Children’s Home be voided so that demolition of the Children’s Home could proceed. 5 The county was ultimately successful and demolition began of the abandoned Children’s Home in September 2012. Bogan, Dallas. “Mary Haven Home Has Long History Of Caring For Warren County Children In Need.” Warren County, Ohio and Beyond. Bowie: Heritage Press, 1979. 345. Print. Barnes, Joseph Daniel, et al., eds. Memoirs of the Miami valley. Vol. 2. Chicago: Robert O. Law Company, 1919. N. pag. Print. 3 vols. “Warren County Orphan Asylum and Children’s Home.” First Annual Report of the Board of State Charities to the General Assembly of Ohio. Columbus: Nevins & Myers, 1877. 85. Print. Trumpey, Elaine. “Iconic Mary Haven home now an eyesore.” Cincinnati Enquirer, 22 Dec. 2010. 24 Dec. 2010. Richter, Ed. 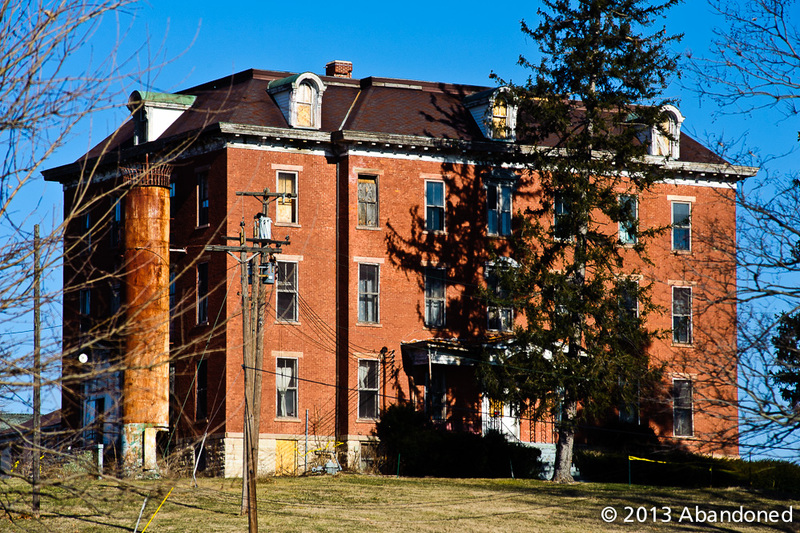 “Lawsuit seeks decision on abandoned Mary Haven building.” Dayton Daily News, 23 Jan. 2011. 25 Jan. 2011. Article. Richter, Ed. “Old Mary Haven building has the county in a bind.” Journal-News [Middletown], 1 Aug. 2010. Van Harligen, Victoria. “Mary Haven orphanage exhibit open until Aug. 6.” Dayton Daily News, 12 May 2011. Hi my name is Lisa sexton my dads name is stanley sexton everyone called him Dewayne sexton or proky im on here because when my dad left the home he left behind his brothers n sisters i would like to hlep him find them before its to late my dad just recently found out he has cancer n has always tried ro find his family he said it would be the best thing in the world for him there names are james Cecil sexton, kaylup sexton, barbra sexton and linda sexton if anyone knows them or anything about them even a address to i can get my dad back in touch with his family that he has searched many of years for he would be greatful you can reach me at my email lisamsexton@ymail.com thank you in advance. My mother spent time there in 1930’s. Ruth Moran. Her father died in 1930 and mother in 1938. I guess her mother must have been of ill health to not be able to take care of her and her siblings after her father passed. She didn’t talk much about it. She lived with her older sister and her aunt as well. She was seven years old when her father passed. Was sad to hear it was demolished. Wish a business could have stepped in and help renovate it and keep it as historic place in Lebanon. When was it demolished? Go to the Genealogy Society at 406 Justice Dr.. I got my grandfather’s intake information from 1902. They have just about anything you would like to know between the 2 rooms. The people there are wonderful. They are willing to help you search and are quite knowledgeable. Just remember though they are just volunteers. Hours they are open are 8-4:30. I am looking for information from around the years of 1900-1905. My grandfather, Charles “Charlie” Young and his siblings were placed in the Orphanage by his mother after his father died. My grandfather once old enough was taken out of the orphanage as an apprentice by the Harvey (old Dr. Harvey’s family) family. He remained in Lebanon after he was old enough to be on his own. I am wondering if anyone can tell me where I can find any of their intake records. My grandfather never spoke of his mother when my father was growing up, as grandpa was so young when left at orphanage (somewhere between ages 3-6) to remember his parents. If someone could give me a place to look or a link that I can go to I would be forever grateful. My father just turned 87 and this has been weighing on his mind for quite a while now. Thank you for any and all help you can give me. My Mother Katherine M. (Paugh) Holt was in an orphanage in the late thirties or into the 1940’s There were 9 Paugh children placed in an orphanage. Can you tell me if this is the one they may have been in. Would like to have this information for family geology information. Any information would be appreciated. Call me at 434-249-1652 I was in Mary Haven with you and your sisters. 86′ and 87′ not 88′. Hi my name is James ( Jim) Neely Doug York was my uncle his brother Alfred! There sister is my mother Doris York I was there from age 5 1960 to age 10 1965! I have always wanted to reconnect with my friends and family that I shared those 5 yes if my life with! My aunt Lucille Harris was there in the late 50s ,is there anyway I can find what happened to Her? I was in Mary Haven Home from 2nd March 1956 til app 28th May 1970. I graduated from Lebanon High School 24th May 1970. I was the second child from the home to go to college I graduated from Lindsey Wilson Jr College and finished up my BA at The Ohio State Univeristy. I remember most of those folks(kids) previously mentioned. If You folks are planning a reunion please let me as far in advance as possible as I live in the Pacific Northwest app 20 miles east of Seattle, Washington. My e-mail address is Dyork@Eskimo.Com. some names I didn’t see were Lester/Donnie/Mary Moore from the Blanchester area. Ken waples and I would have graduated together however he left school at the end of our Junior year to join The Navy. Lester Rice had a brother Jimmy . Hope all of you are doing well & that you are healthy/safe/and happy. Hi Tim Heinlein! My name is Kathy Collins Gehlhausen. I lived at Mary Haven probably from 1972 to 1974. There were so many Kathy’s they called me Angel. Were you there when I was there. There was a Tim Heinlein there was me. There was Bill, Terry who hung himself there. I was the oldest girl. About 36 were…Red was cook. Dot and Jim Motesinger were supervisors. Had house mother Sister Helen. Doris Black… Are you this person. Hello Kenneth I’am Mike Miller sister you can inbox or Email me if you like. I have been looking for you. This is Angel, Kathy!. We lived with each other at that time. We sang together at high school at the talent show..I would love to hear from. Wow…I’ve often wondered where you are? Yep…rest in peace Terry Gilbert. Remember I had to jump literally on you out the kitchen door?? Only you and I know that. contact me…kathyahurst1106@yahoo.com. Hi Kathy, Shaon and Janice Bodine are related. Please reply..thank you! Hi Angel, Sharon here from Mary Haven, email;sphillps@ymail.com. Stanley,my name is James (Jim )Neely I was housed there from 1960 to 1965 the York brothers were my uncle’s! I too don’t have very fond memories of that place. I will always remember having to stand on my tippy toes with my nose in a circle on the wall! I also loved going outside to play ball! My mom was in the home in 1920. She did not have a very positive experience there. Wonder if your dad knew my mom? In such a small place I would think everyone knew everyone. Would be interested in knowing more about your dad's experiences. We are going to the Cincinnati area, to do some family history research, a few days before Thanksgiving and would like to see the home. Does anyone know if it is still there? I was in the home to please contact me @ patty.diggs@yahoo.com thank you. Hi,my name is Tim Heinlein I was put in there when I was 11_18_years old. I think you are a little older than me,buti can remember some names. I remember aways going up on third floor an hanging out with some of you. Remember I always liked iron butterfly steppe wolf records an putting models together. Always went over an worked on the farm with rusty an dale ulrich who own the farm. Its been a long time. I left on my own when I turned 18 with the money I made on the horse farm,marllen an dale took good care of me. Call me some time if you want to, 877-6152 or timheinlein53@g mail.com. thank you!!!!! Hi Kenneth: I lived at Mary Haven Children’s Home in 1972 till August 1973 when I turned 18 years old. I also remember Aunt Helen, I believe she had one leg.. Dot and Jim Motsinger were over Mary Haven at that time. I was the oldest girl there, and I believe the youngest was about 5. There were 4 or 5 Kathy’s so the girls gave me the nickname Angel, I remember Mary Haven like it was yesterday…I was a victim of child abuse, so I became ward of the court and to live there until I turned 18. I would love to see some of those people that was there with me. Kathy Longacre, The Bodine sisters. Kathy Frost, I do remember Terry Gilbert from Morrow who wanted to go home so bad, but his mother could not take care of him….he did commit suicide by hanging himself in the barn…As housemothers, I remember Doris Wright of Dayton…You can reply to this…. Hi Kathy, the Bodine girls are related. Please reply. Scott Johnson, I was there off and on during 88 ‘ and 87’. I was raised at Mary Haven from 1962 thru 1969, age 11 until 18. I worked at the horsefarm next door for those years and have great memories for that time period in my life, The first caregivers at that time were Mr.& Mrs. Leeks who lived on the 2nd floor at that time. When Mr. & Mrs. Saunders took over they resided on the first floor. I remember Miss Cole, Curtis May, Aunt Helen, Tina Bailey, as the Governess who watched over us. We never went to the old school on the property but instead went to school in town like everyone else did, we were allowed to go school dances once in awhile and basketball games now and then, I would love to set up a reunion for the kids there at that time, but so far have only found one thru the internet on facebook. I consider myself lucky to have been raised there by such good people, at the time I was there, there may have been up to 60 + kids at any given time, and they did their best to raise us right, it was hard for them to divide the attention to so many kids. God Bless them for what they went thru as we could be quite trying I'm sure. The thing that ticks me off the most right now are these people who are claiming they have seen ghosts and heard children and trying to make a buck off the Spirited dolls they are trying to sell for profit, such a scam !!!! I was there all those years and never once heard or seen anything out of the ordinary. It's a shame the way the county has let the place run down so they could take over the land, they were after it back when I was in the home and they did indeed take quite a chunk of if for the county workshop, I wish I could go to the attic and see if my stuff is still there from when I went into the Navy, all my clothes and models and such, would that really bring back the memories, LOL Thanks for listening and have a great day everyone, wanna contact me, feel free, waplesk@live.com, will do my best to answer everyone !!!!!!! Gene – I found my dad's intake records and a few letters from mid-1920 directly through Trumbull County. I was supposedly adopted through here, I would like to visit it. Does any one know where I can get in touch with who ever is the grounds keeper? My grandmother whom is still living was raised in this orphanage from a baby to the age of 18, and has told many stories about it. She stayed there along with her twin brother and a few of her siblings. if you would enjoy hearing any stories i heard from her about her childhood at maryhaven, please feel free to contact me. Check the Warren County Genealogical Society, Warren Co., OH. They have a list of Miscellaneous Records. Click on either Children's Home or Orphans. I just found 4 siblings I have been looking for. Good luck! My wife and sister are trying to find out if my father spent some time in the home. Does anyone have any idea how we may check this out? It saddens me to see what was once a beautiful building in such a state of disrepair. My sisters and I lived at Mary Haven, beginning in March 1953. I lived there until I graduated from high school in June of 1958. One would think that living in an orphanage would be a negative experience and at times it was. Most of the people working there were not as educated or as smart as the children they supervised. I was the first high school graduate at Mary Haven to go to college. Most children were sent to the military when they graduated and/or reached the age of 18. I feel lucky and blessed because had I stayed in my family unit, I most likely would not have had the opportunity to go to college. I was told that I was the first student who had the grades and took college prep classes to go to college. I received a scholarship from the Mary Ann Klingling Foundation that helped pay my tuition. I went to Wilmington College, then to Kent State University and became an educator/administrator. I have taught in and directed schools in Ohio, Maryland, and Indiana. Tutoring the kids at Mary Haven was the beginning of my teaching career. Was there a worker there named Geneva Thomas — possibly Geneva Neville?